Children are curious by nature. Our society has jokes about children pestering their mothers asking “but why?” When do we stop being curious? The mother’s annoyance at her child demonstrates how as we grow older, we lose our curiosity. Too many questions are a frustration – an annoying habit rather than a personality trait to be rewarded - but curiosity is essential, especially professionally. As a librarian by education, and a researcher by trade, I make a living by being curious. I enjoy learning and sharing new knowledge with others, and I don’t mind having to dig to find that information. For me, the journey is as valuable as finding the destination; a challenging search uncovers new sources and strategies. So when I came across an interview with Tiger Tyagarajan in which he explains the value of curiosity in a professional context, I had to share his insights. Tyagarajan is the CEO of Genpact, a business process and technology management company. As CEO, Tiger has had the opportunity to meet and interview many people, and for Tyagarajan, curiosity is key: “the single biggest quality I look for is the ability and desire to learn. Are you a really curious person.” He believes that curiosity is a dynamic trait, often leading to people who are more inclusive, determined, demonstrate superior communication skills and passion for their work. How can you apply curiosity to your job/candidate search? Tyagarajan suggests that careers revolve around three main dimensions – subject expertise, industry, and culture – and that you should only ever change one dimension at a time. It is through these dimensions that you can challenge yourself/team and engage your curiosity. Don’t be afraid to make changes – new subject areas, industries, and cultures are avenues to explore and develop. The financial industry is a new subject area for me – I am constantly learning and making mistakes – but I am curious and eager to learn. Because if it was easy, it wouldn’t be rewarding, and ultimately I think that’s what we all look for in a job. My father subscribes to the concept of the power of positive thinking, maybe not the Norman Vincent Peale brand, but the general concept. However, I have always struggled with the idea – to me it seems too simplistic. I believe in being prepared and open to opportunities, and appreciate that negativity gets you nowhere, but have always maintained a heavy dose of concern. Enter Bernard. 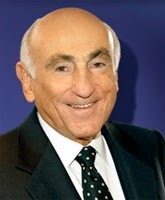 Bernard L. Schwartz, current investor and former CEO of the Loral Corporation (a defense contractor), was recently profiled by the New York Times, in an article entitled “If You Want to Win, Just Say Yes.” Schwartz is a very positive man, and has some valuable insights on the effect of attitude in your life and career. The business titan is frequently caricatured as the villain; greedy, mean, unrelenting, and unsympathetic. We tend to envision those who have reached the top as those who climbed over the people below them. There is a sense that to succeed you must be ruthless, which often comes at the expense of others. Schwartz advocates for the opposite – leaders who value the individual, and who respect and empower their employees. For Schwartz, to be in business was to be in a relationship: “businesses are organizations of people, and it’s about threating them as individuals and trusting them.” Schwartz laments that state of business affairs today, arguing that when he managed people, the business environment was “much more relationship oriented …today it’s all transactional.” An interesting insight offered by Schwartz was the idea that he “made the job fit the individual rather than the other way around.” This fits well with the concept of potential that was discussed in the last blog post. Instead of focusing on the negative, Schwartz remained positive, to the benefit of his employees. Instead of focusing on why not, the question became “how can?” How can we make this work for everyone involved? - Because there is potential in the person and the vision of the job. So, my father appears to have it right – however you phrase it, positivity is important. Would Schwartz still have made it to the top with a negative attitude? Maybe – lots of people do – but I expect it would have taken longer, would have been harder, and would have been at the expense of personal happiness and the happiness of others. Positivity is an important trait to have in this industry. As recruiters, we maintain the positive belief that the perefct candidate is out there, and for candidates or job seekers, it is essential to exude a positive attitude.